Establishes that parental leave must be NON-TRANSFERABLE, EQUAL IN LENGTH FOR BOTH PARENTS, AND PAID AT 100% OF THE SALARY. The roadmap to the PLENT goal varies across countries depending on their actual regulation of parental leave. PLENT backs the reforms which are in the right direction and opposes all reforms which increase inequality: lengthening the leaves for mothers only; transferable leaves; and badly paid leaves. 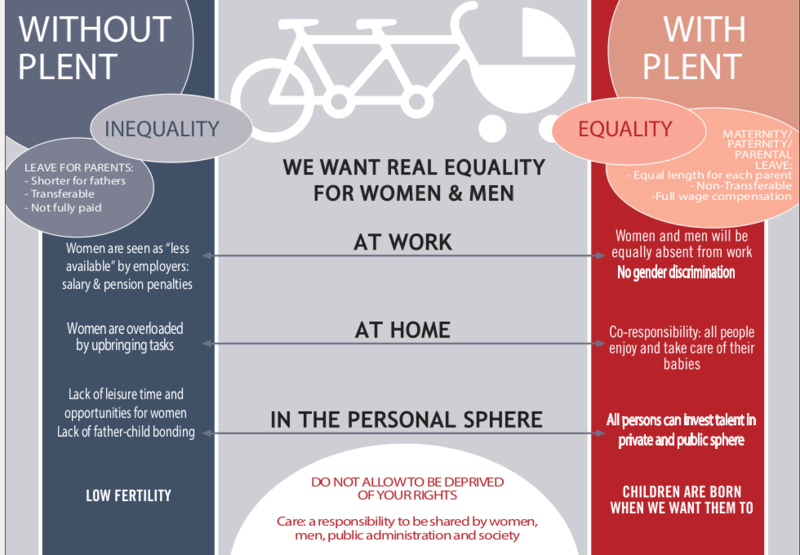 In Europe, PLENT campaigns for a EU Directive on Equal, Non-Transferable and Fully Paid Parental Leave. Do you agree? Then get on and cycle with PLENT! PLENT | Powered by Mantra & WordPress.